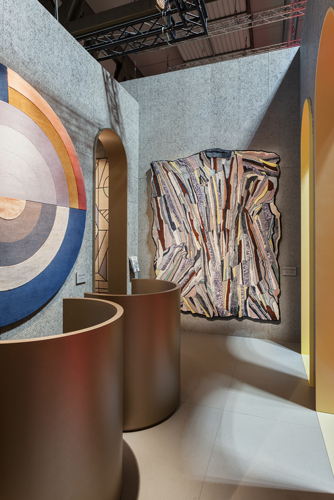 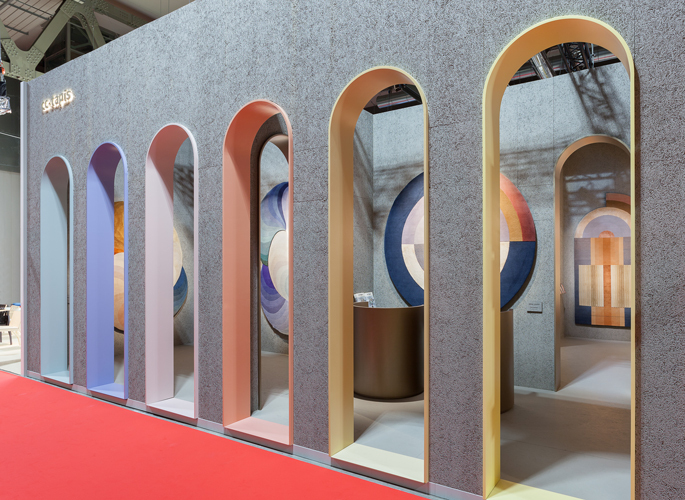 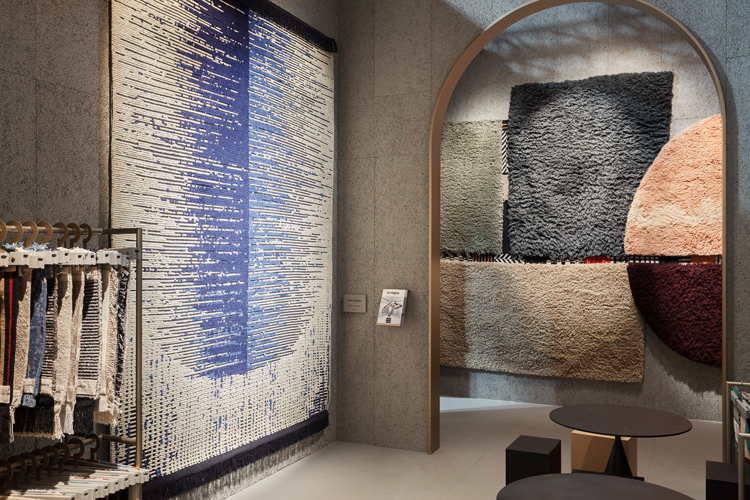 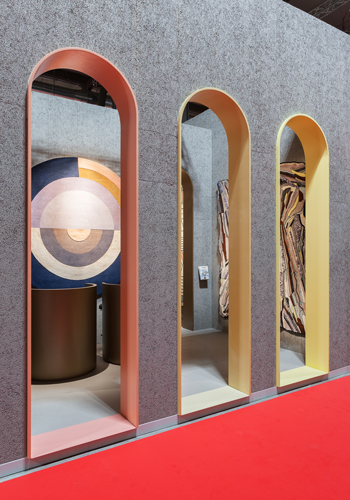 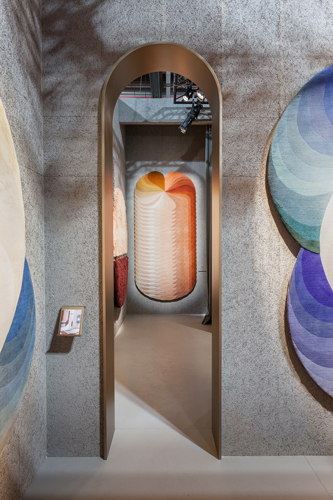 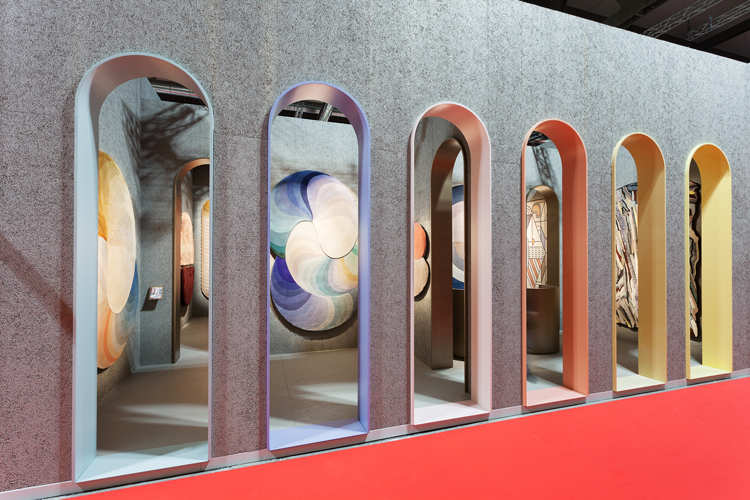 The cc-tapis stand at Salone del Mobile, winner of the Salone del Mobile award in 2018. 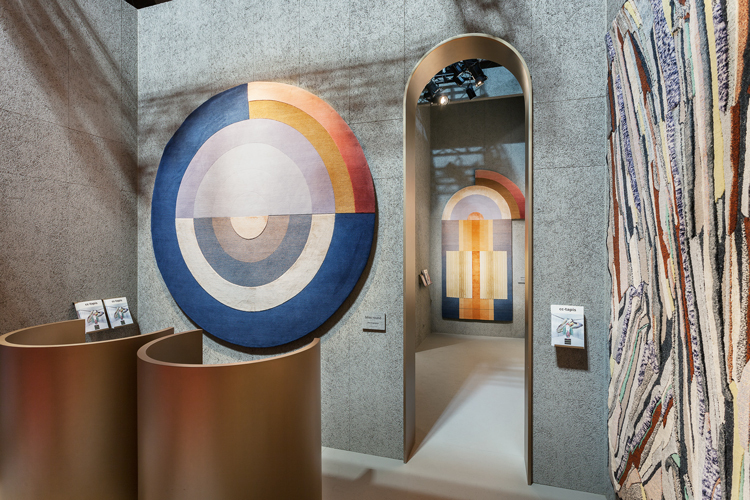 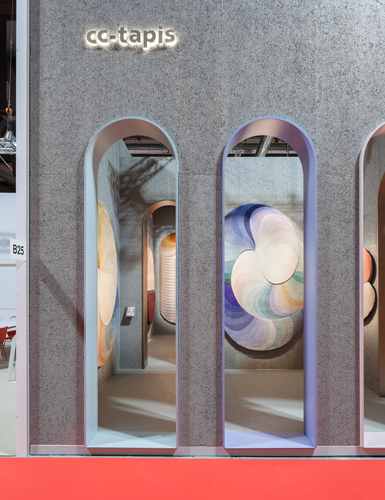 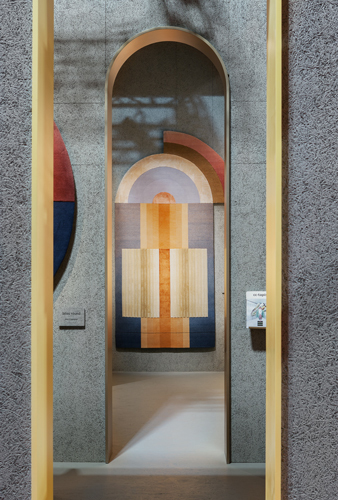 The cc-tapis stand is reminiscent of museum installations and is characterized by perspective views where the rugs interact and suggest a creative dialogue between the content and space. 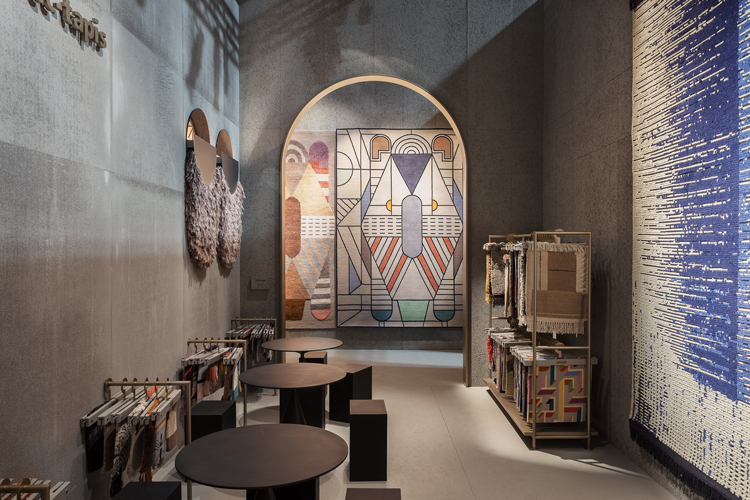 The iconic arches of the façade, referencing the Colosseo Quadrato of Rome, are utilized also in the interior, becoming a visual leitmotif for the brand. 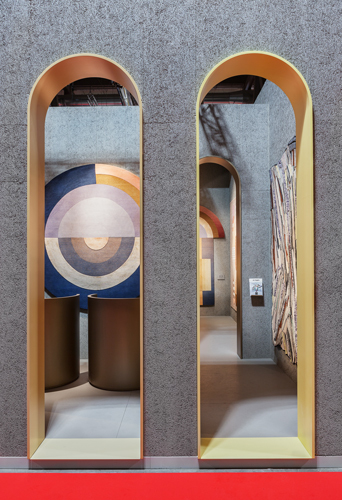 Particular attention has also been paid to texturized materials, taken from the world of construction, reinterpreted both in its use and in the homogeneous color palette comprised of neutral tones. 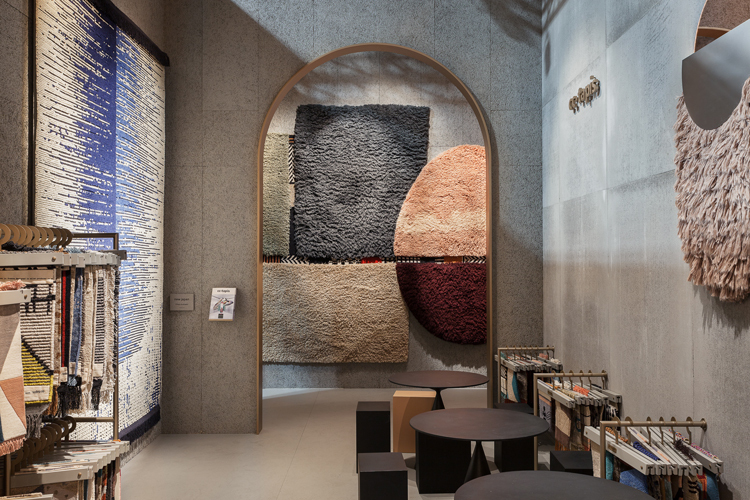 The Stand was awarded the prestigious Salone del Mobile Award by a special jury of design experts including Chiara Alessi, Stefano Boeri, Giovanni Gastel, Angela Rui and Deyan Sudjic.